I doubt if you will see many pictures taken at this location. 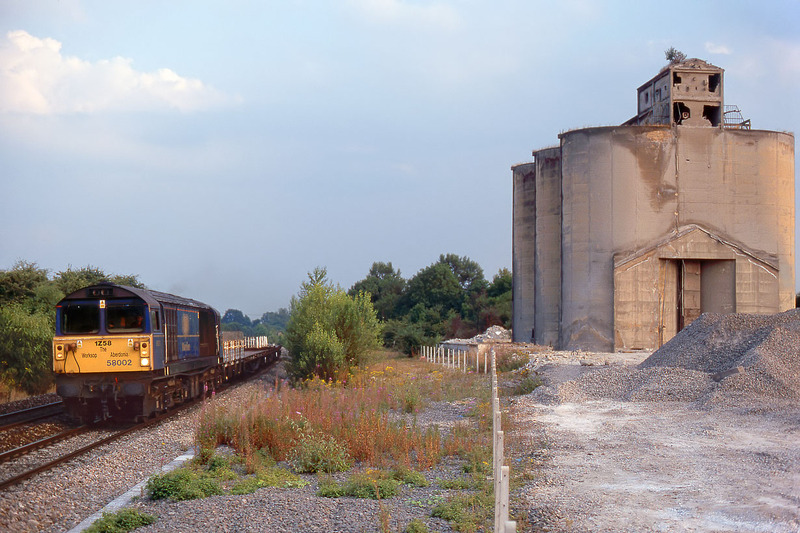 58002 Daw Mill Colliery passes the derelict remains of Shipton-on-Cherwell Cement Works with the 7M28 19:00 Hinksey to Bescot departmental working on 30 July 1999. It was one of those balmy summer evenings when the sun gets progressively weaker as it merges into high cloud, and although there is still a trace of light on the old silos, the light had virtually gone by the time the 58 came into view. Note that the locos still carries the '1Z58 The Worksop Aberdonian' wording on the front from the railtour that took place over two years before!